MS Word & Outlook import : Word/Outlook 32 Bit only. We offer the newsletter software as Freeware, Small Business and Enterprise Edition. Quickly compare the range of functions and find the right edition for you. Existing MS Outlook account settings can simply be transferred into SmartSerialMail. Even without an existing Outlook account you will be able to easily create an email profile within SmartSerialMail in just a few steps. SmartSerialMail can organize your recipients into mailing lists. Various functions (e.g. a duplicate search) allow you to easily manage your recipient data. Organize any number of recipient lists and even assign them to individual categories. Additional features of SmartSerialMail (e.g. excluding one list from another with just a single mouse click.) will facilitate the management of your mailing lists. The import wizard for recipient lists helps you to easily insert your recipient data from various sources into new or existing lists. The trick: Once you have imported a specific recipient list, you will be able to run the same import again with just one mouse click! By using blacklists SmartSerialMail is giving you the opportunity to exclude certain recipients from a newsletter mailing, without having to delete them directly from your recipient list. Several predefined newsletter templates will help you getting started to design your own newsletter in an easy way - free of charge, of course. 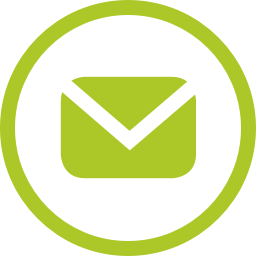 The SmartSerialMail compatibility test provides a quick overview of how your email appears in all major email programs and web clients. Unwanted or corrupted newsletter representations can thus be prevented in advance. Use simple "if - then" logic and thus create "intelligent" email templates within SmartSerialMail - e.g. to greet each recipient according to gender. Use placeholders and quick-parts even more flexibly: use recursive placeholders to insert quick-parts and define their names via a column of your recipient list - e.g. the language or gender of the recipient. Employ template functions to use e.g. values of single columns of your recipient list as parameters. Create as many individual and self-defined quick-parts as you like to optimize your workflow. Frequently recurring content such as footers, addresses or predefined placeholders can be managed easily and efficiently. SmartSerialMail enabley you to attach files to your newsletters. The integrated automatic file compression automatically minimizes huge file attachments and thus reducees the size of your e-blast. With SmartSerialMail you will be able to send individual attachments to each recipient. Simply define placeholders in the file name and send different files to different recipients. With SmartSerialMail you will be able to keep your recipient lists up-to-date by collecting undeliverable emails (so-called bounce mails). Simply edit or manage email addresses from undeliverable messages within your recipient list and avoid delivery failures during your next mailing. SmartSerialMail helps you organize your recipient data, e.g. collect registrations in a new email list or delete revoked subscriptions directly from your recipient lists. With SmartSerialMail it is up to you to decide how to handle your newsletter subscriptions and cancellations. By using the preview function within SmartSerialMail, you will quickly get an impression of how your newsletter will look like before sending it out. Many informative newsletters do not reach their recipient, because they are classified as spam in advance and thus are delivered directly into the junk mailbox. With the SmartSerialMail spam report you will get an evaluation of your current newsletter creation regarding the probability whether the current content of your newsletter is classified as spam. SmartSerialMail enables you to work simultaneously on several workstations and the same database at the same time. Provide parallel access to customer mailings and let your marketing team work on different parts of your newsletter at the same time, optimizing your general workflow. By using a Microsoft SQL database's connectivity, you can increase your team's performance even more.